British Airways cabin staff are to vote on further strike action in March in their ongoing row with the airline over travel concessions. Members of the Unite union will vote on March 1 with a decision taken on whether they will strike due on March 28. People who have booked to fly with the airline around this time may well want to ensure they have comprehensive travel insurance to cover them should any flights be disrupted if the strikes go ahead. The ballot comes after staff who took part in industrial action last year lost their travel concessions, which fuelled an already long-long running row over cost-cutting by the airline. 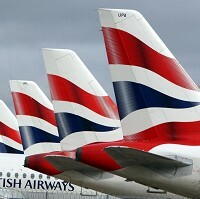 The cabin crew voted last month to hold further strikes, but BA argued that the ballot was unlawful, leading to the Electoral Reform Society to qualify its official report into the voting. Unite claimed that "systemic anti-union activity" at the company was preventing headway in negotiations, saying that since 2010, 18 union members have been sacked and another 70 suspended, including a third of the local union leadership. In a letter sent to all the union's members at BA, Unite general secretary Len McCluskey said: "If BA's management believes that it can secure industrial harmony by these methods it is living in a fools' paradise. Only negotiation, not litigation or intimidation, can start to heal the wounds caused by this dispute." A BA spokesman said: "It is time for Unite to reflect the mood of its members and seek to promote discussion, not disruption. Should there be any further industrial action, we will implement our well-established contingency plans."